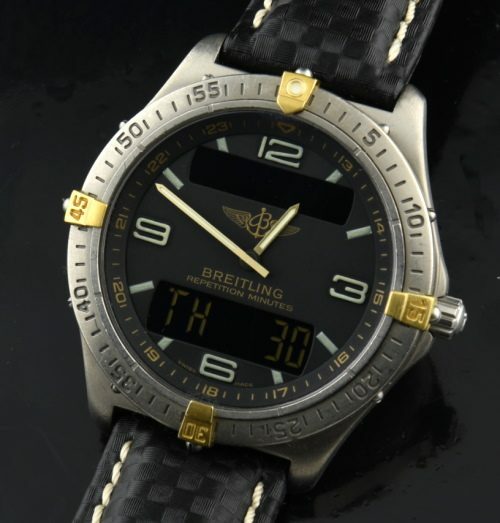 This an excellent condition 40mm titanium and 18 karat yellow gold Breitling Aerospace which displays overall very fine condition. These watches display both anolog and digital time displays. 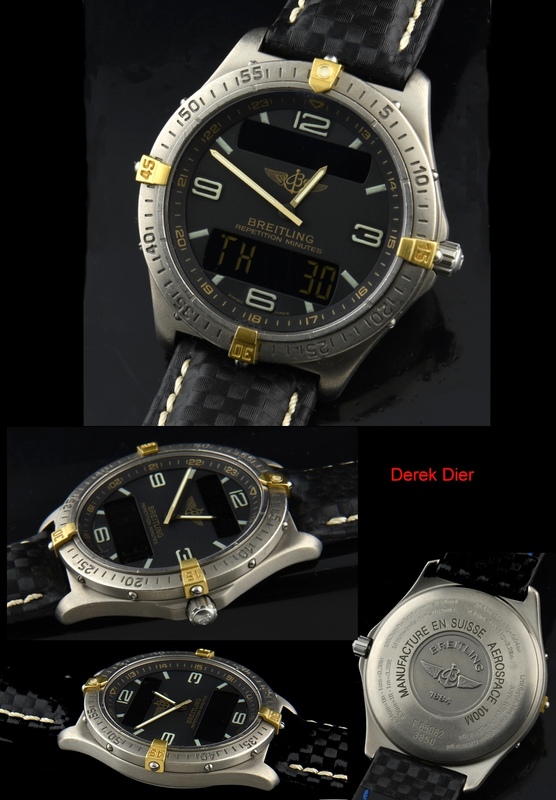 These Aerospace watches have become extremely collectible over the years and also offer a very cool wrist presence. The band is a replacement (generic) that looks great on the watch. This is your perfect vacation watch-and a great price!